The ultimate process for busting through the worst procrastination. 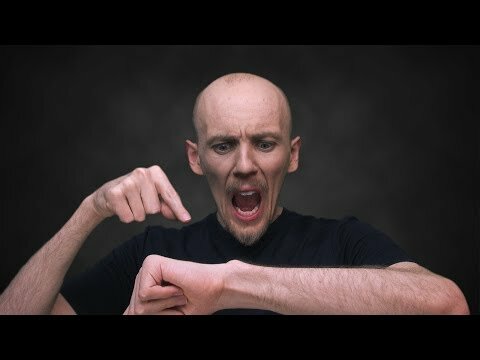 Hey, this is Leo from Actualized.org, and in this quick self-help segment, we’re going to talk about how to stop procrastinating. This is a big one. 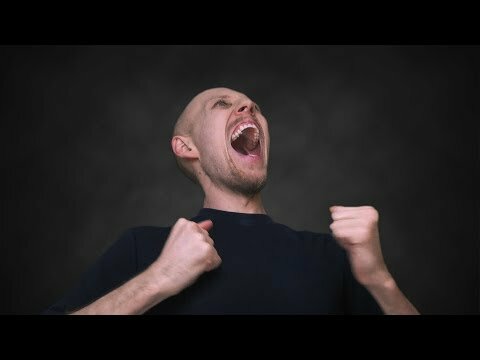 We’re going to get into what procrastination really is on a deep level, and then we’re going to give you some techniques and some practical methods you can use right now, to bust through whatever it is you’re procrastinating on. I’m sure you’ve got one specific thing in mind right now, that you’ve been procrastinating on. I know I have stuff I procrastinate on, this has been a challenge for me personally in many areas of my life, from my business to my work, to gym, to nutrition. All this stuff, we can all procrastinate on it, we can all do it to some degree. For some of us, it’s actually very crippling. I’ve had areas in my life where it has been very crippling, very damaging to my results and very wasteful of my time. Just wasteful of how I feel too. I tend to find that procrastination totally robs you of your mood and your excitement, and just the joy of life, and your happiness. We’re going to get all that taken care of, hopefully, in the next fifteen minutes. How to stop procrastination? Bottom line is that the cure for procrastination, and I know you do not want to hear this, the cure for procrastination is action. The way you cure procrastination is to act in spite of the resistance you have, the fear you have, the negative feelings you have about not doing that thing. The more you procrastinate, as I’m sure you have experienced personally, the worse it gets. If you break that cycle, then it really does break and things start to go smoothly for you. That’s easier said than done, so we’re going to go into a little more depth on how to do this. Whatever is your reason for resisting it, you’ve got to understand that that resistance is created within you, it’s not really in the activity itself. Here’s what you’ve got to understand about resistance. It is created any time you make an activity a “should”, a “must” or a “need”. Whenever you tell yourself this is something you have to do, this is something you must do, this is something you should do, then the resistance starts building up inside of you. Your mind, naturally, tends to not want to do the things that it’s told to do. It tends to just resist and rebel, even when the thing it’s being told to do is good for it. Maybe going to the gym, you know that going to the gym is good for you, but you just start to build up a resistance because you start painting these negative movies in your mind about “Well, if I have to go to the gym that means I have to get off my couch. Then I have to put on my shoes. Then I’ve got to get into my car. It’s cold outside. I’ve got to change clothes. You’re in this tension, in this conflict. It’s creating a lot of pain for you, and a lot of times what happens is that you simply say “You know what, I know that I must, but this is just too painful, so I won’t.” That’s what happens. Whatever you’re procrastinating on right now, tell yourself you don’t have to do it, strictly speaking. No one’s holding a gun to your head. You have choice here, you have free choice. Yes, even though you understand it’s important to go to the gym for your health, you don’t have to go to the gym. You could not go. Yes, there’s going to be natural consequences there, but just allow yourself to just get into that possibility of choice. You have choices here. You don’t have to do your taxes. You don’t have to have that conversation at work. You don’t have to go in there and give that speech. You don’t have to go in and ask your client for more money. You don’t have to go and make more sales. You don’t technically have to go and pay the bills. You don’t have to. In a lot of those cases, it would be nice to, but let yourself get a little bit of release and a little bit of space in seeing that you do have choice. That doesn’t mean you’re not going to have some negative consequences, but just accept that you do have choices in your life, and that you could be doing these things, versus you should be doing them. That’s going to give you a little bit of relief. Next is: allow the feeling of resistance. A lot of times, when we’re feeling resistance and we’re procrastinating, the thing that is really hurting us the most is that feeling in our body of being resistant to something. It’s like this tension there. It feels so bad. What you want to do is, instead of resisting that resistance, just let yourself feel it. Allow yourself to feel it. Take a couple of deep breaths and just watch yourself feeling that resistance. Just by doing that and allowing yourself to feel it you’re going to start to turn it around and flip it around. Once you stop running away from it, it’s actually not as bad as you make it out to be in your mind. Your movie tends to be much worse than the reality on the ground. It’s usually not as bad doing your taxes as you think it is. It’s not as bad going to the gym as you make it out to be. It’s not as bad having that conversation with someone as you think it is. It’s usually very catastrophised and exaggerated in your mind. Just allow yourself to feel that resistance. That’s going to start you on your way. The next thing I’m going to give you is a little technique, which is a quick version of the Sedona method, which is a very powerful way to release emotions, especially negative emotions, that you can use to unblock yourself from resistance. Here’s how the Sedona method works, and I have other videos that you want to check out, search for them, on Sedona method. You can find those on Actualized.org. Sedona method basically works like this: whatever feeling you have, there’s a three of four step process here. Sure enough, you just kind of allow yourself to feel it. You let it well up inside of you. Let yourself really feel it in your body. Once you’ve got that, you’re feeling this resistance to going to the gym, now what you want to do is ask yourself “Could I let this go? Could I let this feeling go?” Then you answers “yes” or “no”. You can answer either yes or no. If you feel extremely resistant, and you feel like you really can’t let it go, then say “no”. If you feel like you can let it go, say “yes”. Could you let it go, in theory? Let’s say yes. Then you move on to the next question. Would you let it go? If you can let it go, and you said you could, then would you let it go? Again, answer as “yes” or “no”. Would you want to let it go if you could? Just answer it, yes or no, let’s say yes. Then, move on to the last question. When would you let it go if you could? Again, let’s say if I could let it go, and I chose to let it go, then I would want to let it go right now. That’s it. You went through the Sedona method. What you do is do that a couple of times, you cycle through it three or four times, each time letting that feeling well up inside of you and then asking yourself those questions, which you’ll find, even though this seems very silly and simplistic, that this is an extremely effective method for dissipating emotions. Especially resistance. If you run this method on whatever resistance you have right now, to any problem in your life, I guarantee you you’ll get rid of it within four to ten iterations. If it’s a very strong resistance, it’ll probably take ten iterations of that questioning process. If it’s a mild resistance, you can probably get rid of it within three or four iterations. This will only take you five to ten minutes. It’s an extremely effective technique, don’t dismiss it just because of its simplicity. 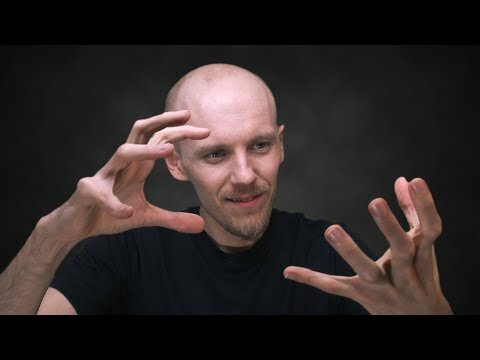 The next technique I’m going to give you is the reverse of Sedona, and this is a positive Sedona method, so here we were working on letting go of a negative emotion, and now I’m going to ask you to accept a positive emotion. That is, ask yourself this question: Could you allow yourself to get excited about this? Ask yourself that. Is it possible for you to get excited about this activity? Going to the gym, doing your taxes, having that conversation or anything else. Is it possible to get excited? Just ask yourself and think about it, and answer “yes” or “no”. What you’ll find is that there is some way for you to get excited. Come up with one way. What’s one little thing you can do that will make it exciting for you. Maybe you can get excited about going to the gym and listening to some nice music while you’re there. Maybe you can get excited about having this conversation, and in the conversation, maybe saying something positive to the person, even though the conversation is generally, you think it’s going to go negatively. Give them a compliments. That can be something you can get excited about. Or maybe doing these taxes, you can get excited about something within that tax process. Maybe you can get excited about getting a refund. Maybe you can get excited about finally having this off your plate. Find a little thing you can get excited about, and just feel it. Let yourself feel that. You’re going to start to feel the resistance dissipates as the excitement comes into play. The next thing I want you to do is, if you’re really serious about getting rid of this resistance, after this video’s done, take five to ten minutes, sit down in a quiet place and do a visualisation of yourself doing this activity. This is huge. If you do this visualisation, I can almost guarantee you’re going to bust through the resistance. Just sit down, close your eyes, put a timer on and visualise yourself doing that activity, especially the beginning part of it, the starting of it. Visualise yourself getting off the couch, putting on your tennis shoes, changing your clothes, getting in your car, driving to the gym and getting on that first exercise, whatever that is for you. Visualise that in vivid detail. Try to visualise yourself being excited about it. Force that excitement. Picture yourself being excited. What did it feel like when you were doing that for the first time? Weren’t you excited when you went to the gym for the first time? You probably were, that’s why you went. Do that with anything else. Do that with your taxes. Picture yourself sitting down at the computer, logging into your accounting software, or however you do it, or calling up your accountant, or going into the accounting office, driving in there, pulling out the paperwork, going through all the files, and starting your taxes. Starting is the hardest part. Once you begin, you’re done. It’s the starting that’s the hard part, the rest of it — you’re in flow, it’s easy, it comes naturally. Picture yourself, visualise for five to ten minutes, getting into the action, getting really into it, and feeling excited about that. The final point I’m going to make here, as we’re getting off the topic of procrastination is, I want you to become a watcher. I want you to become an observer of your procrastination in action, without trying to change it. What our natural tendency is, is that when we procrastinate, we tend to resist the procrastination. We tend to say “Well I shouldn’t be procrastinating. This is bad. I should change it.” But then you say to yourself “But it’s so painful, I can’t change it. I’m stuck in this rut. I’m stuck in this spiral.” It just takes you lower and lower. Instead, what I want you to do, when you notice yourself going down that spiral, I want you to just take a few deep breaths, pause and step outside yourself. Imagine yourself stepping outside and just looking at yourself, becoming the watcher, the observer. Just notice and allow yourself to procrastinate, as you’re watching. Just allow yourself, for example, to lie there on the couch, watching television. Just observe yourself doing that. Observe yourself procrastinating and not going to the gym, when you know you should, and just observe that. What you’ll find is that as you become the watcher, as you become conscious of your procrastination, your resistance to the procrastination is going to dissipate. You’re going to find yourself just spontaneously getting off the couch and doing the thing you want to be doing, the thing you know is good for you. When you’re consciously aware of something, you’re not going to be self-sabotaging. Self-sabotage only happens unconsciously. That spotlight of attention, of awareness is a subtle but very big factor in busting through that resistance and that procrastination that you’ve got. The last point I’m going to make is baby-step it. Start small. If you’ve got some sort of big project to do, if you’ve got a whole book to write, if you’ve got a big business proposal to create, if you’ve got a massive presentation to plan, if you’ve got a lot of taxes, accounting, paperwork to go through, just take that baby step. Baby-step it, and allow yourself to do that, if you need to. Maybe that first day you start your gym regime again, just allow yourself to go to the gym and literally spend five minutes on the treadmill and do one rep of a bicep curl and then go back home. Give yourself that break. If you’re starting taxes, and you’re sitting down to do them, allow yourself to just do ten minutes of tax work, and then go back to watching television. That’s it. Start small. Baby-step it. Then the next day, do another five minutes. Next day, do another five minutes. Same thing if you’re procrastinating on writing a book, or anything else in your life. This is it for procrastination. I have more ideas for procrastination, because this is a deep topic, so go ahead and check that out on my site. Please like this, share this, comment down below. Check out Actualized.org, and sign up to my free newsletter, where you get advanced personal development videos like this, where we cover topics like procrastination and how to generally rock it in your life, how to create a charged, amazing kind of life where you’re doing the stuff you want to do, and you’re not feeling these negative emotions all the time, how to gain emotional mastery. You can find all that on Actualized.org, and especially on my newsletter. This is absolute gold to me. I feel encouraged that I can continue on a job I have been procrastinating on. Thank you Leo. Again, you are changing my life. The getting excited part sounds helpful. I’m going to try it. This is a really great video. You do great videos and I love all that i’ve watched so far. This is helping alot of people worldwide and to practice what you’d recommend in your videos comes naturally. I do practice them. Thanks alot. This is a really great video. You do great videos and I love all that i’ve watched so far. This is helping alot of people worldwide and to do what you’d so often times recommend in your videos comes naturally for me. Thanks alot. These methods work ! I’ve done today more than last 2 years !!! Napoleon Bonaparte said going inside the war was much easier than thinking about the war. It watch your videos as soon as i wake up in the morning and i make it a point to watch at least 4 of your videos a day. I find it fascinating that I feel in so much more control of my life. I realized the things that i can control, and the things i have no power over. For example, I can take the action of looking for a job, however, i do not have the power to get hired. 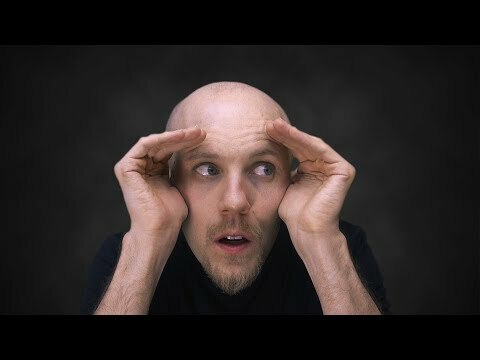 My biggest issue is procrastination, this video helped alot. After watching this video, the thought that came into my head was no i do not have to look for a job; however, i would like to look for a job. I made looking for a job a good experience. I thought wow. Look at all the good things that can happen from starting a new job. I made looking for employment a chore, but it is only a chore if i make it a chore. I find it fascinating when some people believe self help is only for depressed people or people with issues. It made me come to the conclusion that i am not perfect, no one is perfect, so why not take the opportunity to become better. You put so much effort into helping people, it would be foolish of me to not take advantage of your knowledge and benefit from your research. I read alot about why people think self help does not work and realized that you put out a good product. You are honest, You do not lie to people, or tell people things will be easy. Your videos helped me to brainstorm.. I now would like to write a self help book for use in schools. I would like to pitch a plan to elementary and middle schools to teach this topic. I would also like to teach a self help course in college. Many people learn basics, but children need to learn that emotions do not control you, you need to learn how to control your thoughts. Who you think you are, is who you are, But who you want to become is up to you. Thanks Leo for all the information, great value in every word , big insight into what we are and what can we become . Really gratefull for sharing all your knowledge and your path of how to be masters of ourselfs.